Jewelry is my go-to for pulling together any look. I often feel naked if I end up at work without earrings. But having a jewelry collection, especially if you travel frequently, can result in a mess if you're not careful. Nothing is worse than having a giant tangle of necklaces, with earrings and bracelets mixed in. 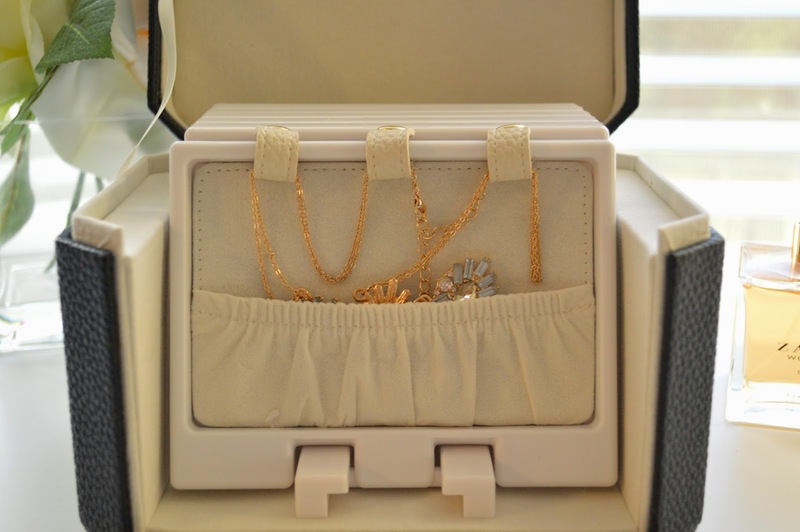 I also travel frequently, so I was looking for a case that could carry a significant amount of jewelry. Last year, I ordered the Lori Leigh traveler and instantly fell in love. 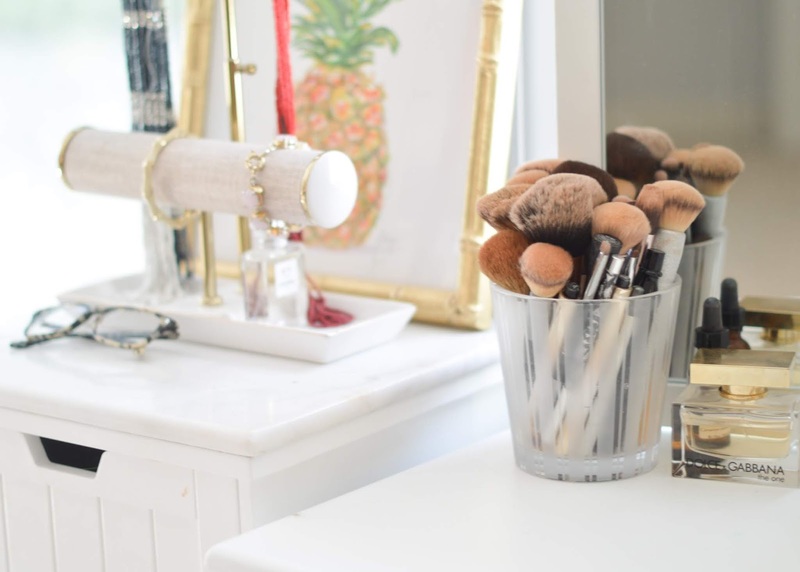 I even keep in on my vanity, and most of my everyday jewelry stays in there. 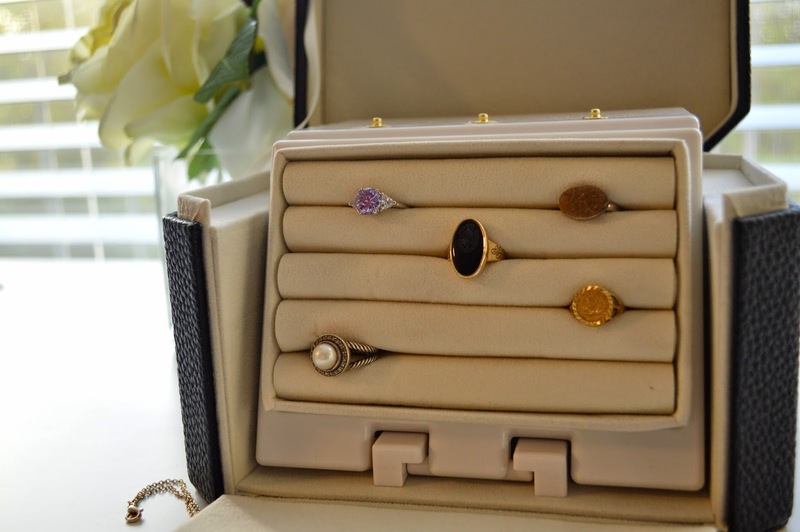 It's perfect for weekends away when you want to keep your jewels all together but safe and sound. Because I was hooked on Lori Leigh Designs, I was beyond excited to receive the midnight black vanity -- a perfect addition to my jewelry storage. 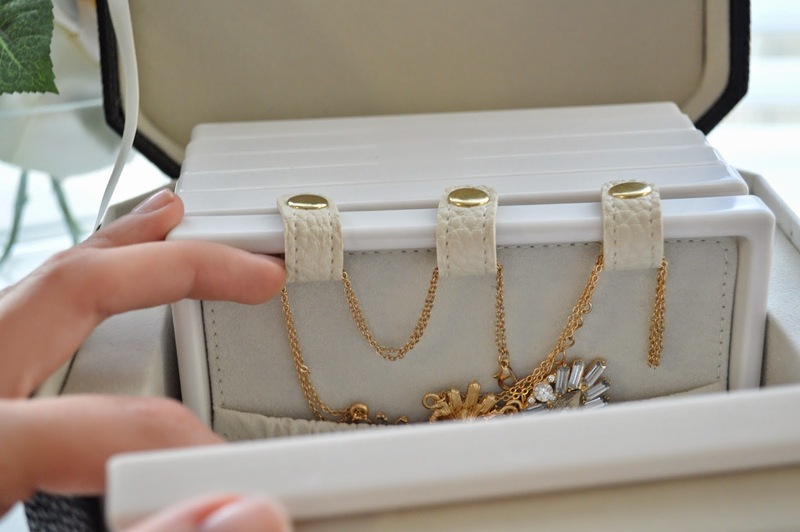 Trays designed for jewelry easily slide on and off, and rings, necklaces, earrings and more can easily be stored inside. 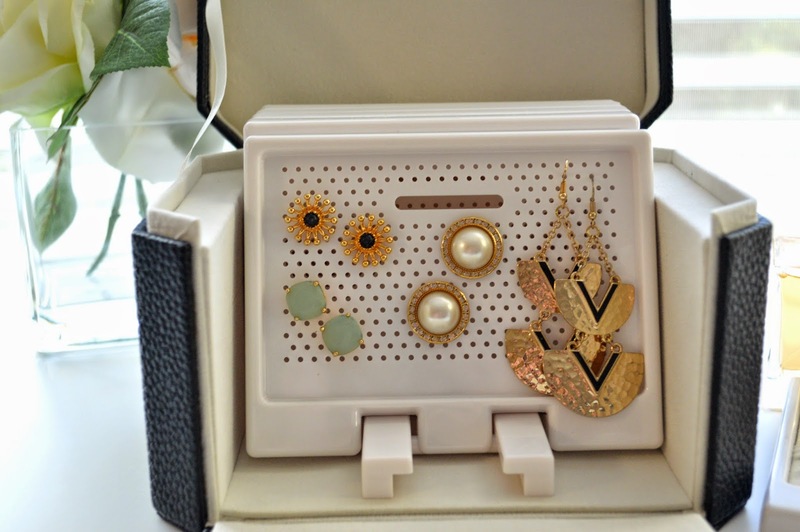 It comes complete with the earring trays, but I would highly suggest also getting the necklace and bracelet tray and the ring tray. 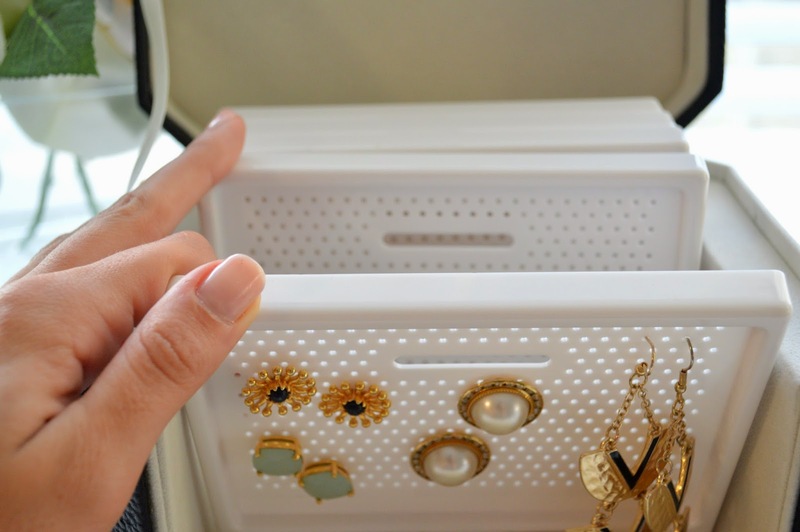 This will be my new go-to for jewelry storage, and even though larger than the traveler, I could definitely see myself packing it if going away for more than a few days. If you're looking for something to house your precious gems, you've found it. P.S. Love that necklace? I received it in my latest Rocks Box and it is definitely going to be a purchase. You can get a month of Rocks Box free here!